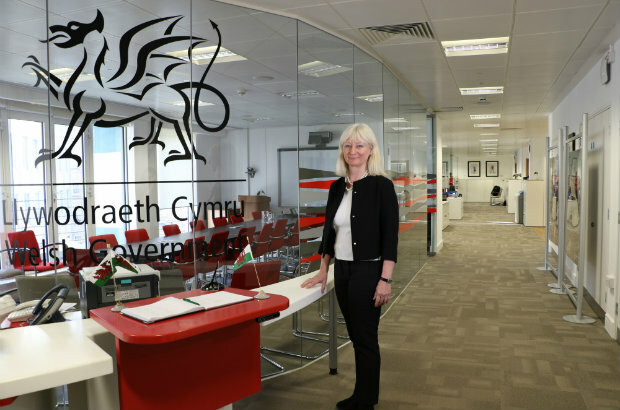 This is my first Civil Service Leaders blog since becoming Permanent Secretary at the Welsh Government in February. It’s been an enlightening and exciting six months, getting to grips with an organisation that supports ministers to deliver policies and services that touch almost every aspect of people’s lives in Wales. As the ‘new kid’ on the Permanent Secretary block, it’s been fascinating to take on the job at such a pivotal time for the UK Civil Service and to engage with other Permanent Secretaries on the challenges we’re all facing. Talking to Robert Devereux at the Department for Work and Pensions about the way he communicates and connects with a very large and geographically dispersed organisation has been invaluable; and I also spent a fascinating day job-shadowing my counterpart in the Scottish Government, Leslie Evans. Being able to learn from each other and exchange ideas and experiences is one of the great advantages of the UK Civil Service that now serves three different governments and administrations. You might guess from my name that my family originally hailed from Wales. However, my father was in the RAF so I spent my early years travelling all over the world with my family. 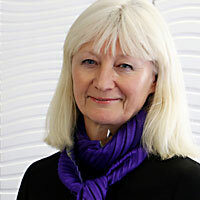 I studied French at Kent University and joined the Civil Service as an EO – expecting it to be a fairly short-term job. But I enjoyed the variety, the intellectual stimulus and the learning opportunities it offered, so decided to build a career inside it. I spent most of my early career working on employment and social affairs issues in London and Sheffield, before I transferred to the Diplomatic Service and a series of jobs involving EU policy in Paris and Brussels, and as Ambassador to Argentina. My new role feels like an opportunity to bring together all the skills and experience I’ve built up so far to a job – and a country – I really care about. It’s become a cliché to say that people are an organisation’s most valuable resource. But like most clichés there is a large grain of truth at its heart. In every leadership role I’ve had so far, it has been the people I’ve worked with who have made the difference between delivery success and failure. If you’ve been lucky – as I have – you will know what it feels like to be part of a motivated, skilled and empowered group of colleagues working towards a clear goal. I think we need to take luck out of the equation as much as we can. Positive, inclusive and empowering leadership should be the high standard we expect as the norm in the Civil Service today. This kind of empowering leadership; innovative, joined-up policy and delivery capacity; digital skills and commercial expertise are all critical capability components for the brilliant Civil Service we will need to meet the challenges ahead – including managing the UK’s exit from the EU and preparing for the opportunities beyond it. Future-proofing the Civil Service is as much about developing ourselves as it is about sorting out our ICT, our workplaces, systems and processes. That’s why capability and skills will be one of the main things I’ll be focusing on within the Welsh Government. It’s always easier to recognise capability when we see it than it is to define it. Capable people know how to learn, are creative and innovative and work well with others in unfamiliar as well as familiar situations. In my career so far, I’ve had the pleasure of working with many colleagues with exactly those attributes. I’m looking forward to helping develop the next generation of capable, resilient and confident civil servants here in Wales. It’s an exciting challenge and a real privilege. Congratulations Shan on your appointment. I do recall reading a blog during your posting in Argentina where you had looked to offer mentoring to the Locally Engaged Members of Staff and they had mentioned how they have found this invaluable as part of their career development. I have been with the Organisation for approx 26 years and I hope that you would agree with me that there has been a significant shift in regards to career progression / opportunities in respect of gender, ethnicity, sexual orientation, etc. Of course there is room for improvement but at least there is noticable change. I wish you well in your new role and I am sure that you will be instrumental in creating the future generation of Civil Servants.